Each year at our Annual Gathering our Missions Mobilization Team hosts our Annual Missions Banquet. It is always a wonderful time of fellowship. Our Missions Leaders also provide an update regarding our mission partnerships. The Missions Banquet is also a time when we receive gifts and pledges to help support our mission partnerships. Following the Annual Gathering we invite others who were not able to be present for the banquet to make contributions to the Missions Banquet Offering for Partnership Missions. This year our goal for the Missions Banquet Offering was $12,000. These funds were to support our mission partnerships in three ways. First, these gifts help to provide scholarships for approximately 90 participants in the Guatemala Training Events that are held in July and January each year. 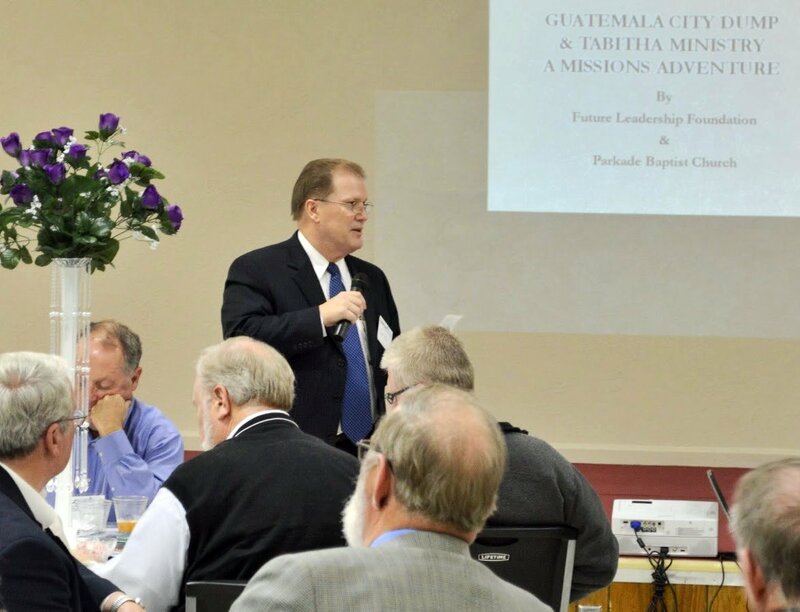 These regional training events are at the heart of our ongoing mission partnership with the Guatemala Baptist Convention, and they were developed in direct response the needs identified by the Guatemala Baptists. Scholarships of $75 cover the cost of lodging, meals, and materials for each participant. The Missions Banquet Offering also provides funds for the Tabitha Ministry which cares for women and children living near the Guatemala City dump. The Tabitha Ministry provides a variety of services and assistance including a school for the children. A gift of $35 provides for a child for a month. The third mission partnership project partially funded by the Missions Banquet Offering is our Ukrainian Church Planter. Churchnet is partnering with the European Baptist Federation to provide $350 per month for church planter serving in Ukraine. Churchnet supplements the gifts from our Missions Banquet Offering to fund all of these mission partnership projects. The exciting news we have exceeded our goal of $12,000 this year. To date we have received $13,180 in gifts and pledges and more gifts are coming in each month. If you have not had an opportunity participate we would welcome your gift. In addition to these gifts, First Baptist Church of Lee's Summit gave an entire week's offering (more than $38,000) to support the work of the Tabitha Ministry in Guatemala. This was the second time the church has made this type of sacrificial gift to missions. What a generous congregation they are! We have another team going to Guatemala this month to lead the Leadership Training Event. This year we are also adding a special women’s track during one day of the event and inviting an even larger group of women from the area churches to participate. Marilyn Nelson will be leading this special session. Several of our Churchnet congregations have taken groups from their congregation to Guatemala to assist with mission projects. Our relationship with the Guatemala Baptists has grown each year. We would love to have you and/or your congregation become involved as we work our brothers and sisters in Guatemala to share Christ and extend his kingdom. Give us a call and let us share how you can be a part of our mission partnerships. You can contact Jim Hill, Churchnet Executive Director, at (888) 420-2426 ext. 705 or at jimhill@thechurchnet.org.